MALAYSIAN SPORTS FESTIVAL 2019 IS OPEN FOR BIDDING NOW! Education Malaysia Chicago is responsible for all the internationalization activities and promotion programs in the United States especially for the Study Abroad Program to Malaysia, Students Exchange Programs, Summer Programs in Malaysia, and twinning or collaboration programs between universities, to name a few. Previously known as Malaysia Students Department established by the Government of Malaysia under the Embassy of Malaysia in Washington DC to manage the welfare of Malaysian students studying abroad. As time passed, Education Malaysia is now becoming a one stop center for all inquiries concerning Malaysia higher education, and hence, aligned with the expansion of its functions. 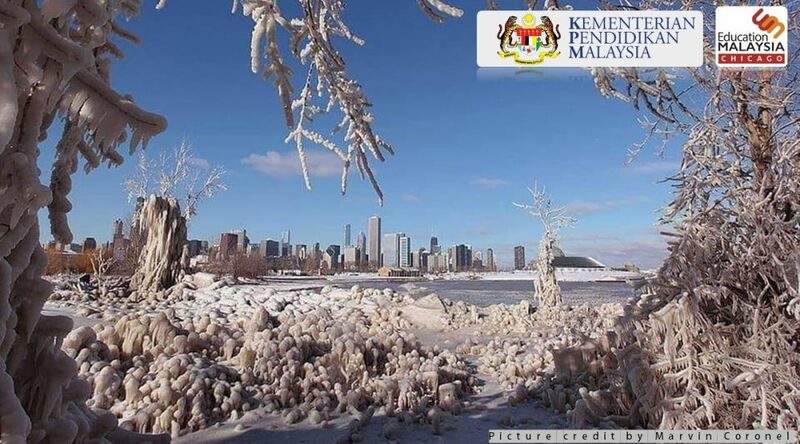 Education Malaysia Chicago was established to cater the needs for United States Midwest region. 12 states under EMC’s purview are Illinois, Iowa, Indiana, Kansas, Michigan, Minnesota, Missouri, Nebraska, North Dakota, Oklahoma, South Dakota and Wisconsin.